According to the indictment and documents filed in court, JACOBVITZ served as the organization’s treasurer and, in this capacity, acted as the signatory and sole monitor on Gothams’ bank accounts. 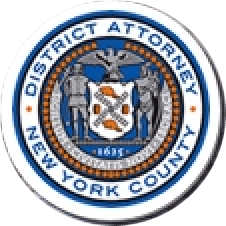 Between November 2011 and April 2014, the defendant is charged with making more than 50 unauthorized withdrawals from Gothams’ accounts, amounting to more than $90,000 in theft. The defendant also used a debit card associated with Gothams’ accounts to pay for personal car repairs totaling thousands of dollars. As a result of JACOBVITZ’ conduct, Gothams’ reserve fund was nearly depleted. To date, the defendant has not repaid any of the money taken from Gothams, which derives most of its revenue from players’ fees and donations, and provides athletic training programs for participants between the ages of 13 and 18. Assistant District Attorney Catherine McCaw is handling the prosecution of the case, under the supervision of Assistant District Attorney Archana Rao, Principal Deputy Chief of the Financial Frauds Bureau, Assistant District Attorney Michael Sachs, Chief of the Financial Frauds Bureau, and Executive Assistant District Attorney David Szuchman, Chief of the Investigation Division. Financial Investigator Miriam Bouchma, of Forensic Accounting and Financial Investigations, provided additional assistance with the investigation.